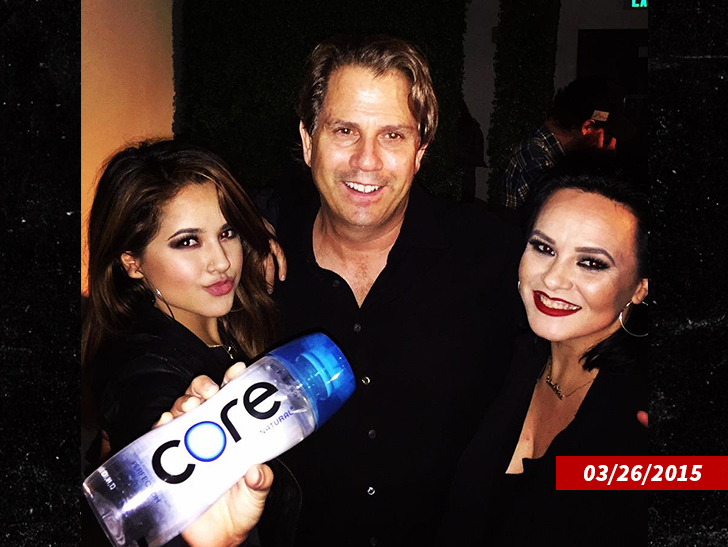 Becky G claims she's getting left high and dry in a $525 MILLION water deal -- and she's pointing the finger directly at her former music producer Dr. Luke ﻿in a new lawsuit. The core of this story is Core -- the bottled water company which is reportedly in the process of being bought out by Keurig Dr. Pepper for half a BILLION dollars. Dr. Luke owns a significant piece of Core. 21-year-old Becky G has been pushing the brand on social media and in her music videos since she was a teenager -- but claims she only agreed because she felt if she didn't make Luke happy, he would "squash" her career. "Dr. Luke made it clear both directly and implicitly that [her] ability to have a music career would be tied to [her] continuing involvement in promoting Core," Becky's lawsuit reads. Becky says she feels Dr. Luke turned her into a "singing billboard" in the hopes of making the company culturally relevant ... and dangled the release of her album over her head to make her continue the promotion. Becky claims she was eventually promised 50,000 shares of stock in the company -- but now that Core is about to cash out, the company is trying to slither out of the deal.